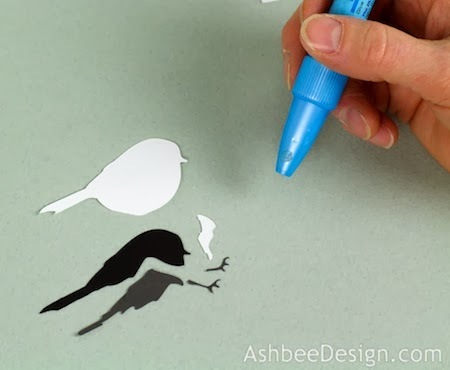 Note: I have just started a new website at 3DCuts.com with my cutting files in .svg and .pdf formats for those of you without a Silhouette. This file is available here. 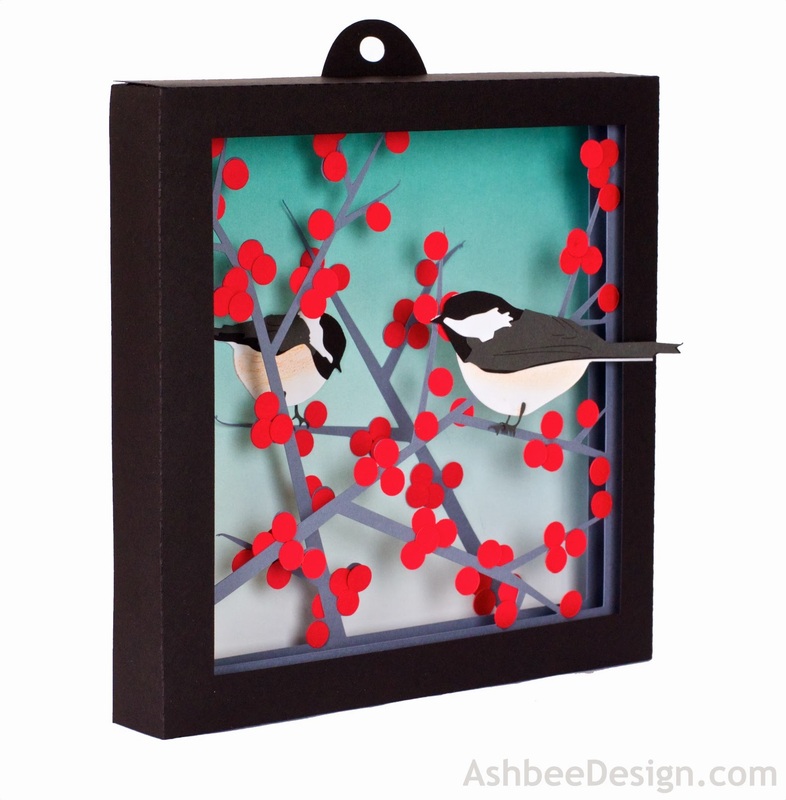 This shadow box is composed of 4 cut files assembled in layers to create a winter shadow box including two chickadees perched in a winterberry bush. 1. 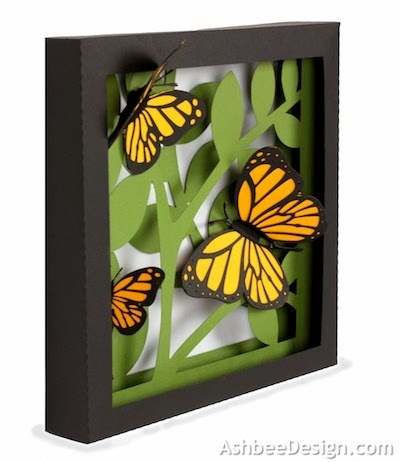 Download the cutting file for your Silhouette Cutting machine from the Silhouette Online Store. 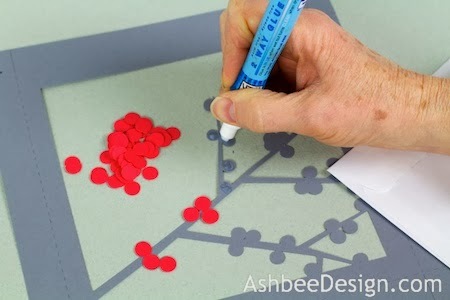 All of the patterns for this project are in Silhouette download. They need to be separated and expanded. Below are some detailed instructions with photographs. The downloaded Silhouette file looks like this. 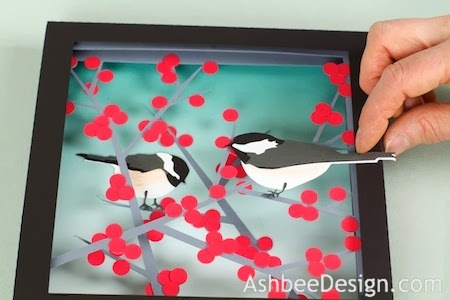 Each of the 4 frame parts has to be copied and pasted into a new Silhouette file and enlarged. The file probably arrives all grouped together. Click on it so it is selected and go up to the OBJECT Menu and down to UNGROUP. 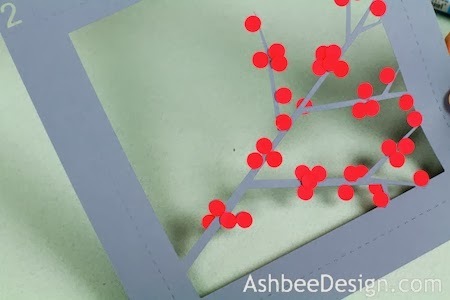 Click on each frame/ color group and copy it - EDIT menu to COPY. 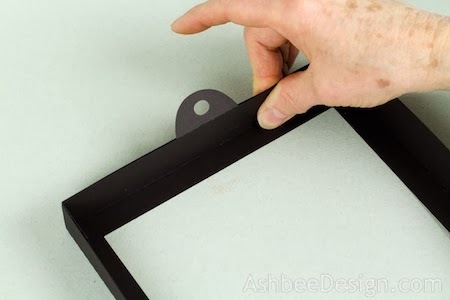 Open a new file - FILE Menu to NEW and paste the frame into it. You can group any like parts together. 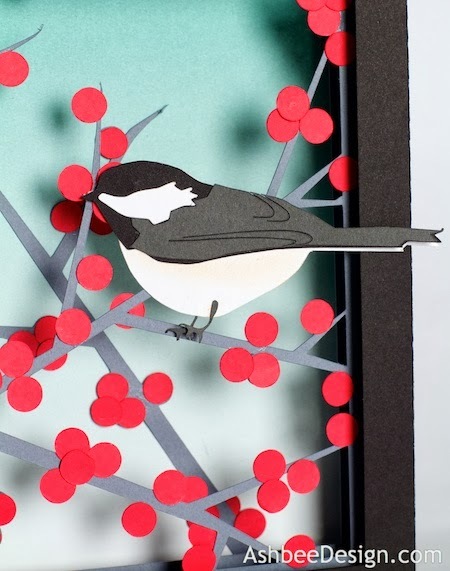 I grouped Frame 1 with the hanger and the black bird parts. 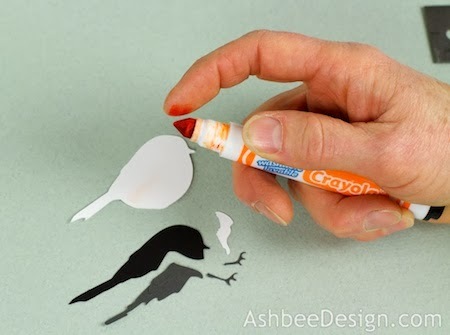 Copy the other parts to new files and cut like colored objects together. All are marked on the file. Note: the gray letters do not cut. 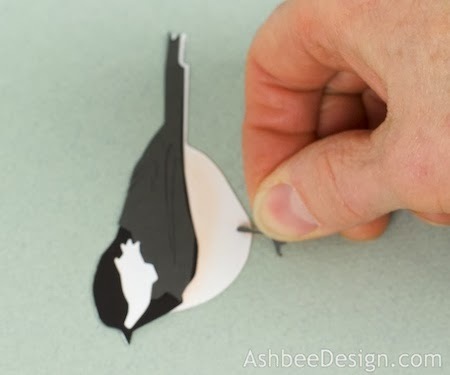 This file is designed to work on the Cameo Cutting machine because several of the parts are wider than 8". 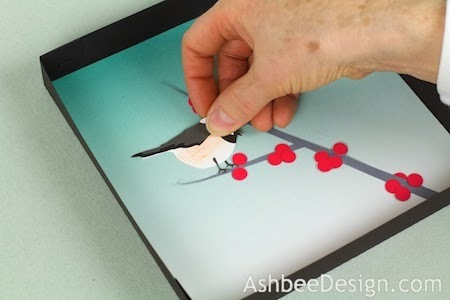 You can group the entire file and shrink it together and try it on a Portrait but the final project will be small. 3. 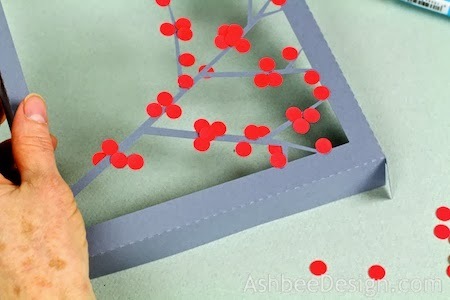 Prepare and fold frames. Start with frame 1. Note the cut out 1. This should be in the upper left corner. 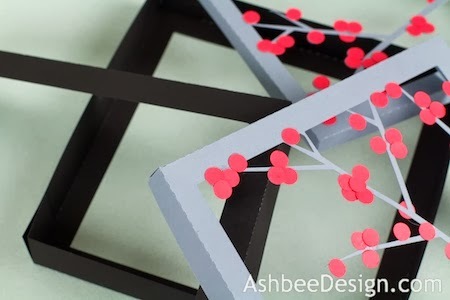 All frames are numbered to help in the instructions and construction. 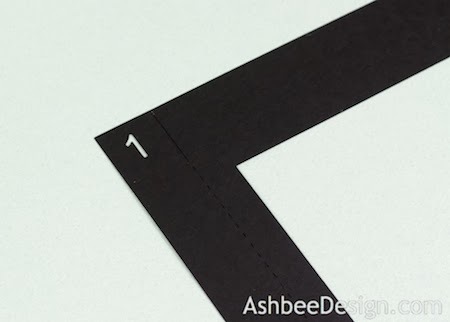 Always make sure the corner with the number cutout is in the upper left corner. Box 1 is the easiest. It is now complete. 4. Assemble frame 2 and 3. Frame 2 and 3 are both completed in the same way. The four frames are together now. 6. Complete the details on the background. Most of my shadow boxes to date have had open backgrounds. This one doesn't. There is a sky layer with another branch attached to it. This get inserted into frame 4. 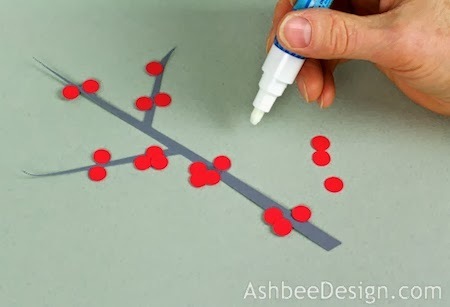 Glue red berries onto the front of the single branch. Add a few to the back, just like you did on frames 2 and 3. 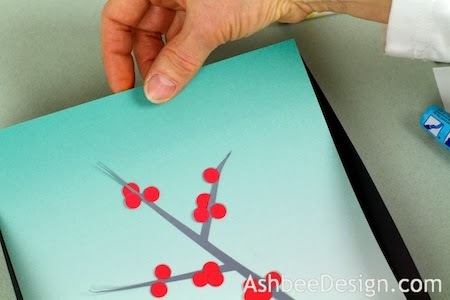 Cut the background paper into a 7 inch square. I used a gradated paper from the collection (we all have paper collections, right?) for the background but there are many pretty papers that would be appropriate, use a solid light blue or do a watercolor wash. 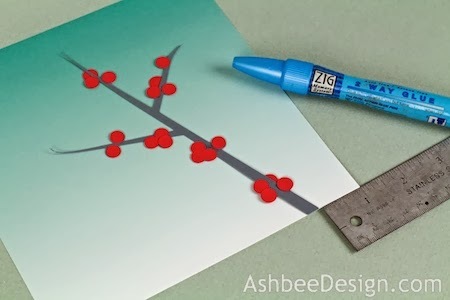 This branch gets glued directly to the background square. Placement is 1" in from the right bottom corner. 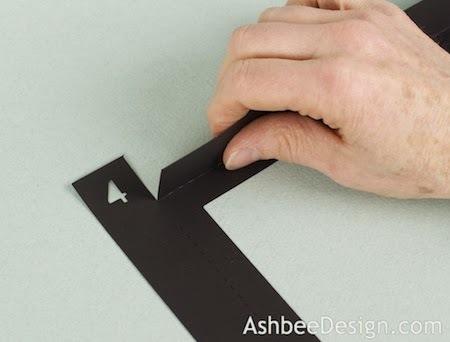 Match the angle of the bottom to the edge of the paper. 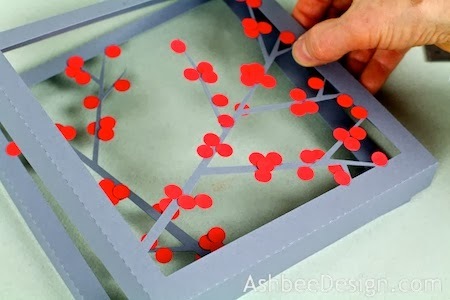 Glue it in place inside the frame. Remember to keep the cut #4 in the upper left corner. 7. 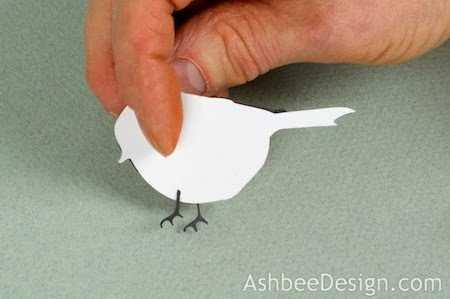 Assemble the first little bird. 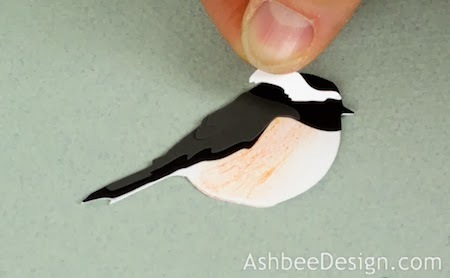 I rubbed some ink from a marker onto my finger and then onto the white belly of the chickadee. 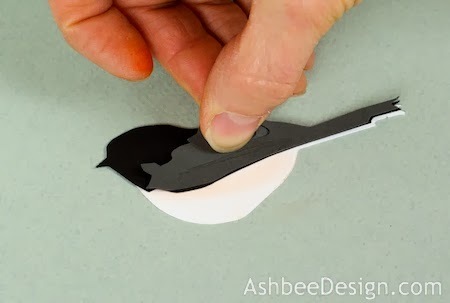 Glue the black bird shape on next. Tops line up. And the other to the back. 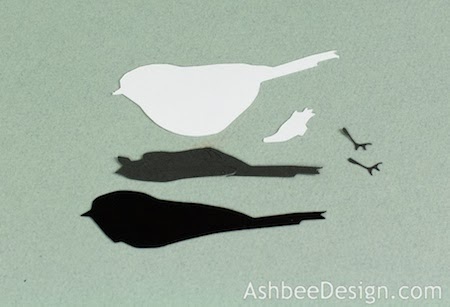 Here are the parts for bird 2. Color the belly slightly using the same technique. 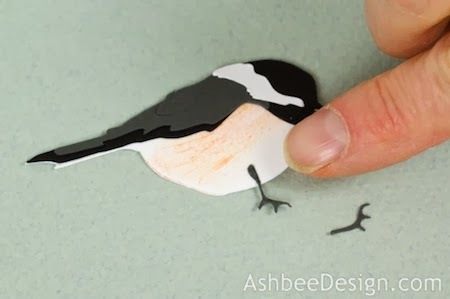 Glue the black back on. Add one foot to the front and one to the back. 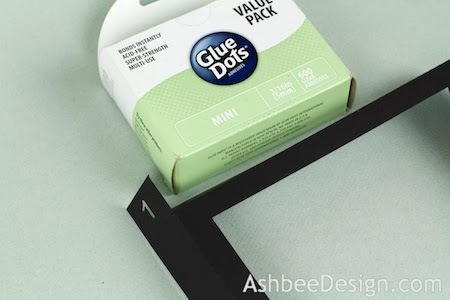 You are to glue these two frames together but their back edges should line up. From the back side, the back edge of frame 2 should be in line with the back edge of frame 3. 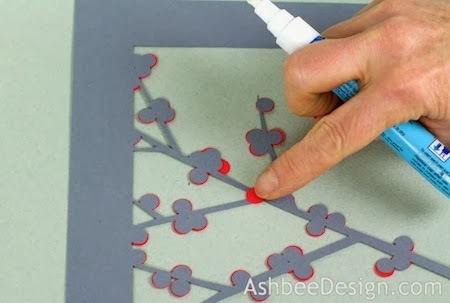 This will space the two layers apart and create depth. 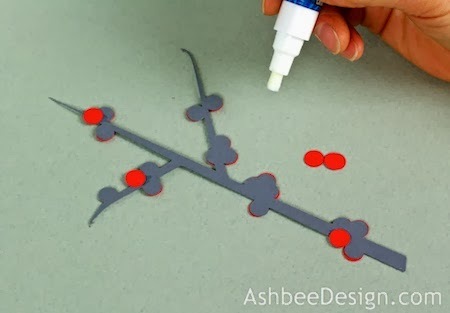 Use glue dots to hold them in this position. 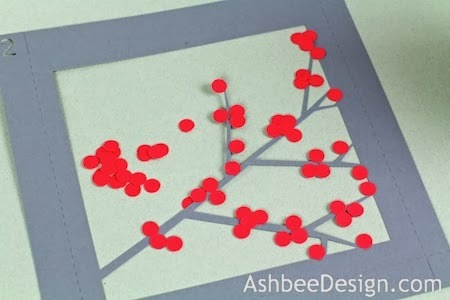 Use Glue Dots to hold these in place. Frame 1 gets placed over the grouping of frames 2, 3, & 4. 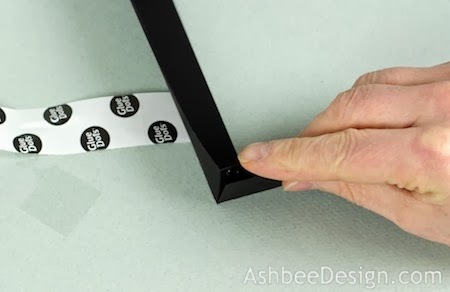 Use Glue Dots to hold this last frame in place. 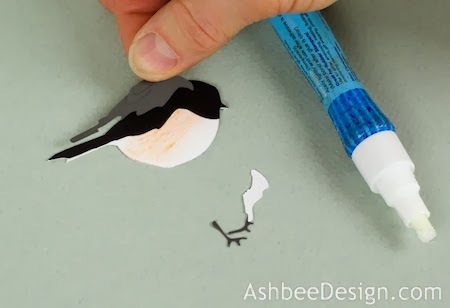 Use glue dots to position the second bird in place. I placed it on the front with its tail extending out of the frame a little bit. 10. Stand back and take a look. Job well done! 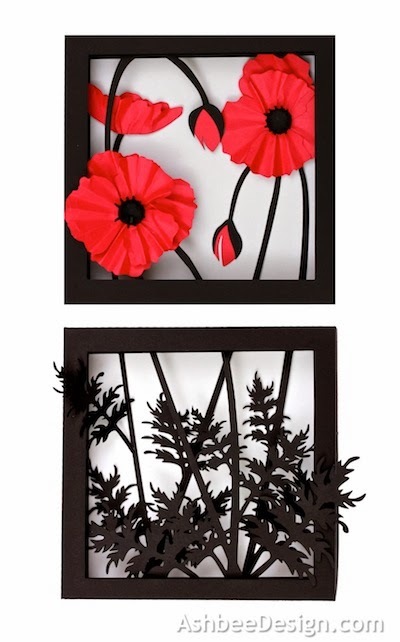 If you liked this project take a look at my Butterfly and Poppy Shadow Boxes as well. 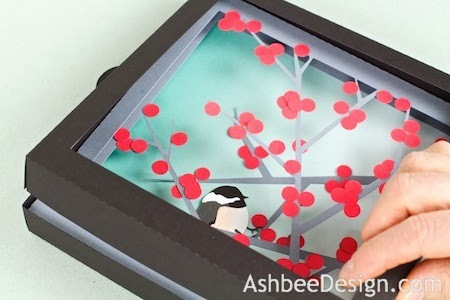 Your shadow box is adorable! Thanks Artsy. I am very pleased with this one. Yeah, I think it is obvious that I am a little detailed oriented......can be a problem but not when doing tutorials! Thanks for visiting. I love this! So beautiful. Thanks for sharing. 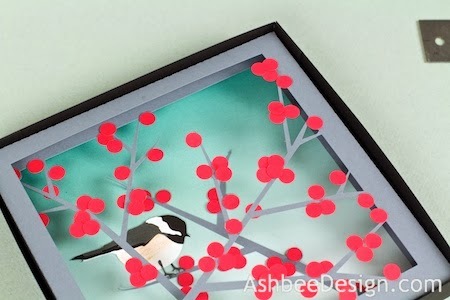 I have learned more each time I make a new shadow box. 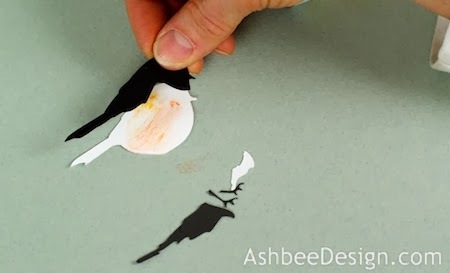 This one is the best construction and tutorial because I have applied all that I have learned to this. Thanks for taking the time to comment and have fun crafting. 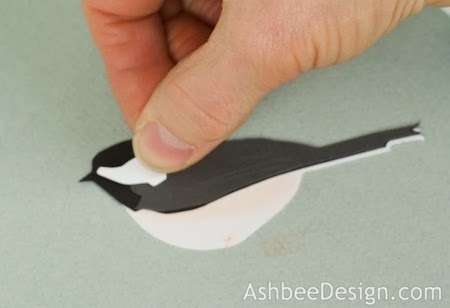 I love this and would like to make it for a friend. I have a Silhouette SD though, not a Cameo. 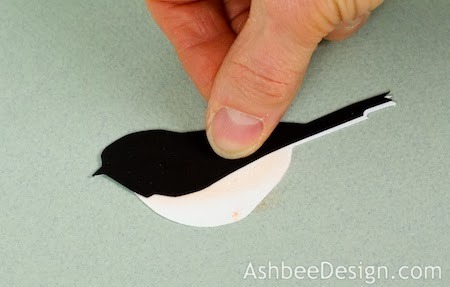 I saw the note on the design that it would be 'much' smaller if not made with the 12" X 12" paper. 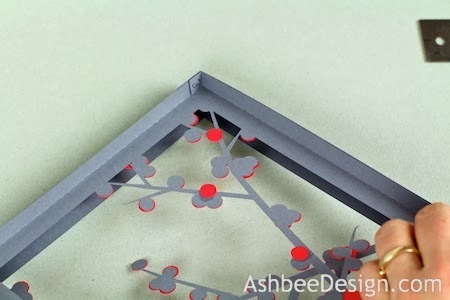 Do you know what the finished dimensions would be? Thank you? 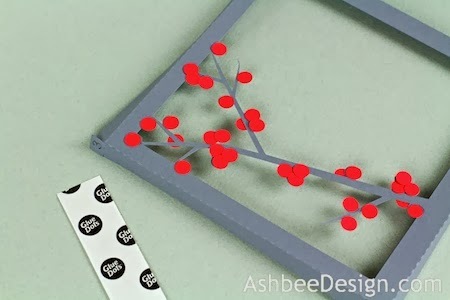 do you have this 3D Winterberry Shadow Box on 3dcuts.com? thanks a lot for the great tutorial. Not everything went oké while cutting so I had to made soms adjustments. But look, pretty good I think! Nice job Fran! Thanks for sharing.